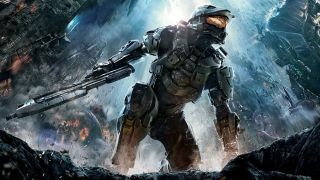 Microsoft's Halo franchise is set in space, but the cloud is where today's most interesting advancements seem to be happening for the Mast Chief-helmed video game series. The company is said to have demoed Halo 4 streaming to a Windows Phone and Windows PC via the cloud. Currently, the game is only available on Xbox 360. The concept was shown off during "an internal meeting" today and ran smoothly on both the phone and computer, according to The Verge. In another report from ZDNet, the streaming service is apparently codenamed "Rio." Microsoft reportedly reduced latency on a Lumia 520 smartphone to just 45ms, which would cut down on any noticeable lag, a Halo gamers' biggest antagonist since The Covenant. Makes Xbox One backward compatible? The Halo 4 streaming demo was described as a "prototype," but Microsoft is said to be hinting that it will expand this cloud service beyond Windows Phone and PC devices. This could be the company's answer to making the vast library of Xbox 360 backward compatible with the forthcoming Xbox One console. Microsoft's Azure cloud streaming service could be used for "more complicated things like rendering full games like a Gaikai and delivering it to the box," noted the company's senior director of Xbox, Albert Penello, in a GameSpot interview. "We just have to figure out how, over time, how much does that cost to deliver, how good is the experience." If that happens, Azure could end up being a formattable challenger to Sony's Gaikai cloud streaming service that has the same basic idea for PS4. Only Microsoft's concept throws the Xbox One, Windows PC and Windows Phone into the mix. Read how Valve wants Steam to be the Android of gaming.